The idea is simple: An individual action, multiplied by millions, creates global change. And it is a concept singer Jack Johnson intends to support throughout his current world tour. Not only is he greening every aspect of every show, he is also collaborating with a host of non-profit organizations around the world on a new interactive network to inspire music fans to create postive change. The All At Once Campaign is a new social action network that operates both online and at Johnson’s shows, and plans to provide a much needed bridge between fans and the organizations that work to make the world a better and more livable place. It provides a focal point where people can gather and connect, where they can discuss the issues that affect them, learn about the non-profit groups that can help them, and find inspiration to take action in a world filled with hurdles and cynicism. 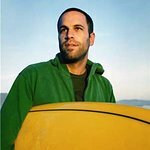 Jack Johnson is currently touring Japan, and has just finished taking his Sleep Through The Static album on the road in New Zealand and Australia. For every step on the 45+ date tour, Johnson has insisted on keeping the shows’ environmental impact as low as possible, something he believes works in well with the “All At Once” concept. Initiatives include reducing waste by encouraging venues to use biodegradable food service items, the use of biodiesel to fuel tour vehicles and generators, the sale of eco-friendly tour merchandise, and the use of 100% recycled paper and soy-based ink products. Johnson also employs stringent policies that demand that venues provide recycling services, and where possible he and his crew only stay in hotels that participate in water and energy efficiancy programs. He also encourages fans to use public transport and carpooling to get to the shows. And to prove that these initiatives are real and not just pie-in-the-sky publicity hunting, the environmental impact of the tour will be tracked to demonstrate how collective action can result in significant change. A report detailing the results will be available at www.jackjohnsonmusic.com at the conclusion of the tour. As part of the All At Once Campaign, every concert will include an area called the “Village Green”, a collection of interactive booths where fans can get inspired to do something good for the planet, and to talk face-to-face with local, national, and international non-profit groups that work in the areas of climate change, water quality, land preservation, and more. But perhaps the most exciting initiative is that Jack Johnson has pledged to match all donations made by fans to the local All At Once non-profit groups in every community (up to $2,500 per charity).